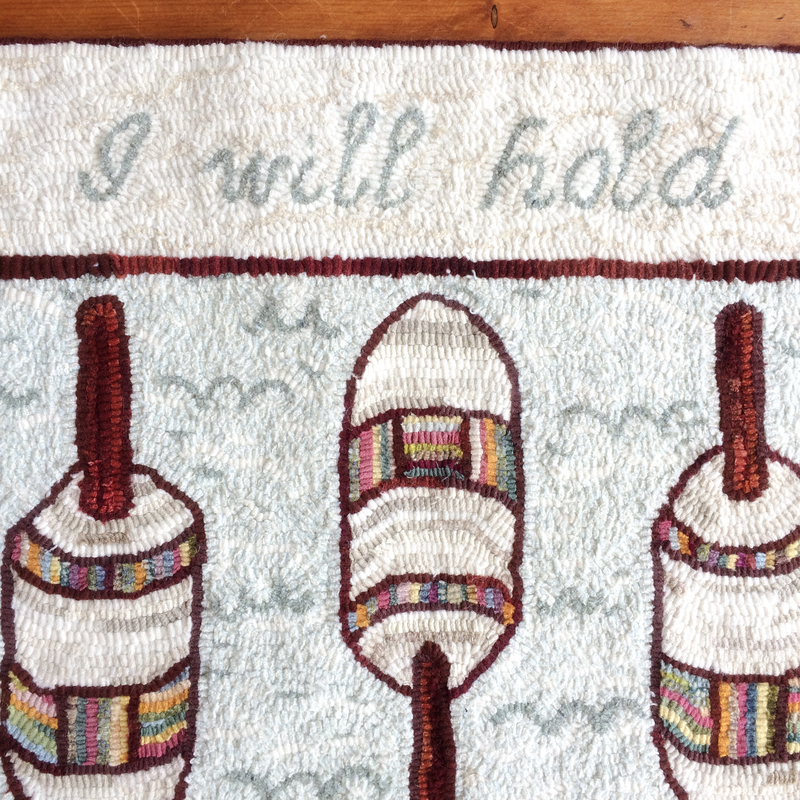 As I was designing this rug I grew enamored with the concept of buoying up loved ones, and the sweet sentiment for the border was born. 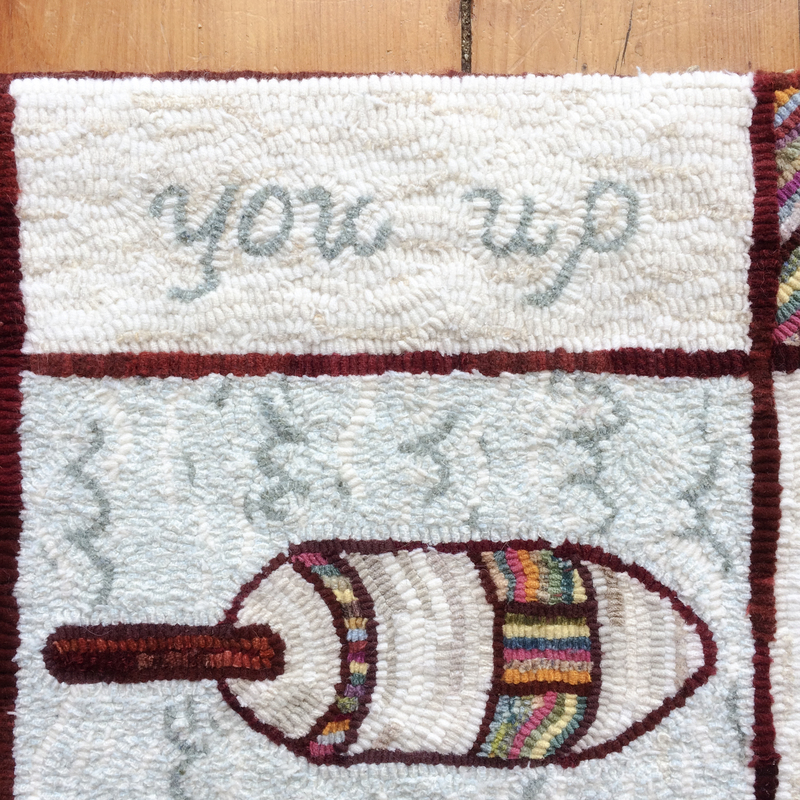 As I worked on this rug, I started affectionately referring to it as The Rescue Rug. For a few years I had a little sketchy design of a buoy that ultimately became The Needle Punch Buoy Pattern, but I wanted to do more with it. The design expanded and I had a good think on it. Due to some things going on with family and friends, I grew enamored with the concept of buoying up loved ones, and the sweet sentiment for the border was born. 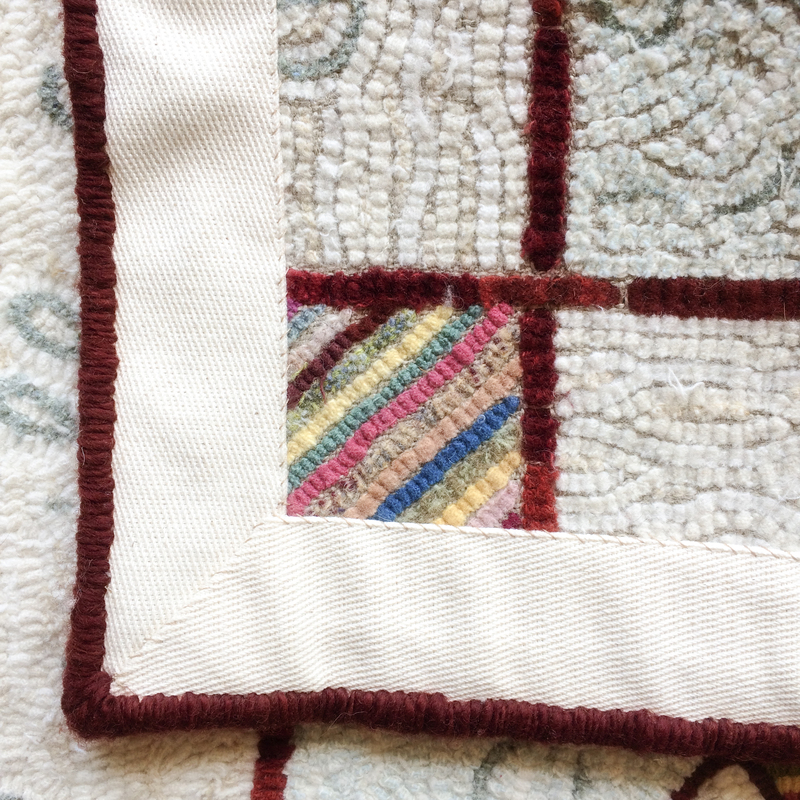 As I worked on this rug, I started affectionately referring to it as The Rescue Rug. 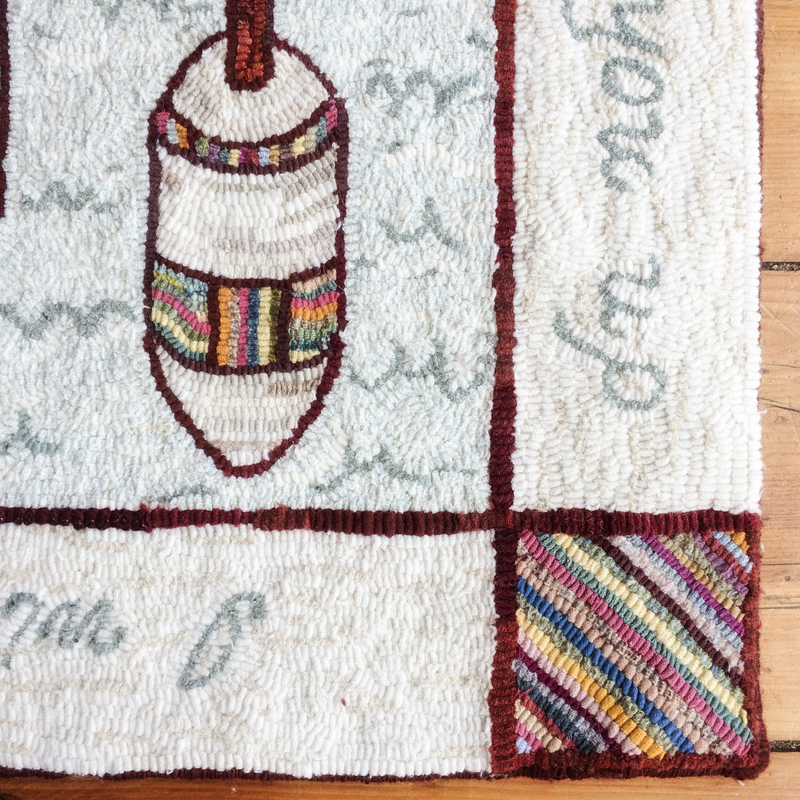 This rug is hooked with a combination of new and antique wool on linen. 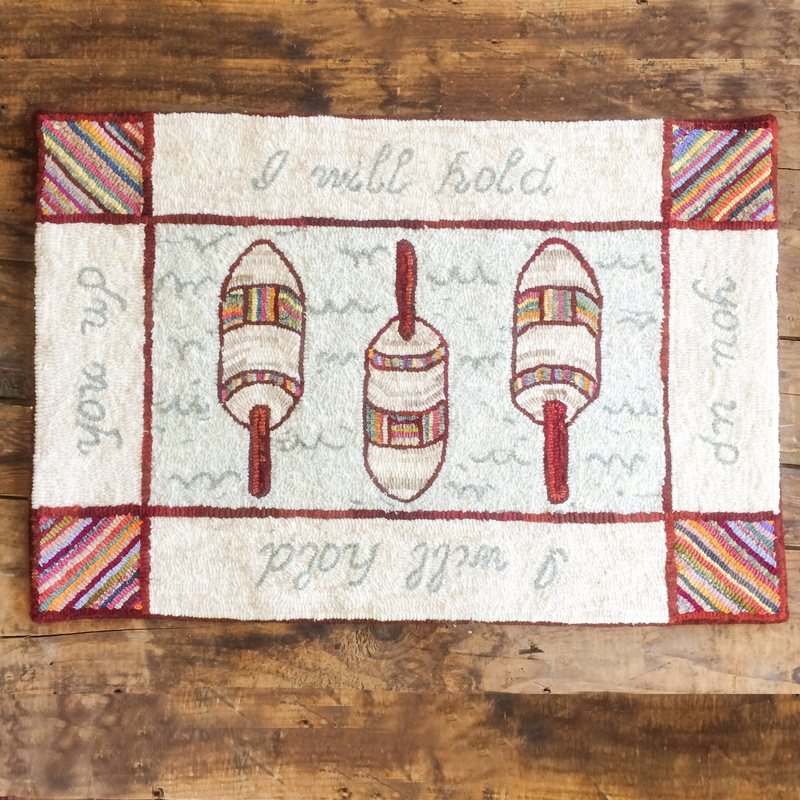 I tackled the buoys and corner motifs with a hit or miss mindset and love how it all came together. A little bit vintage, a little bit whimsical. This design is also available as an instant download pattern, if you’d like to hook it yourself.